While studying abroad in Italy, a couple of girls and I took our “spring break” in Florence. Florence was one of my favorite Italian cities. Not only for the amazing food, but also the beautiful architecture, nightlife, and cultural history. The energy in Florence was electric. 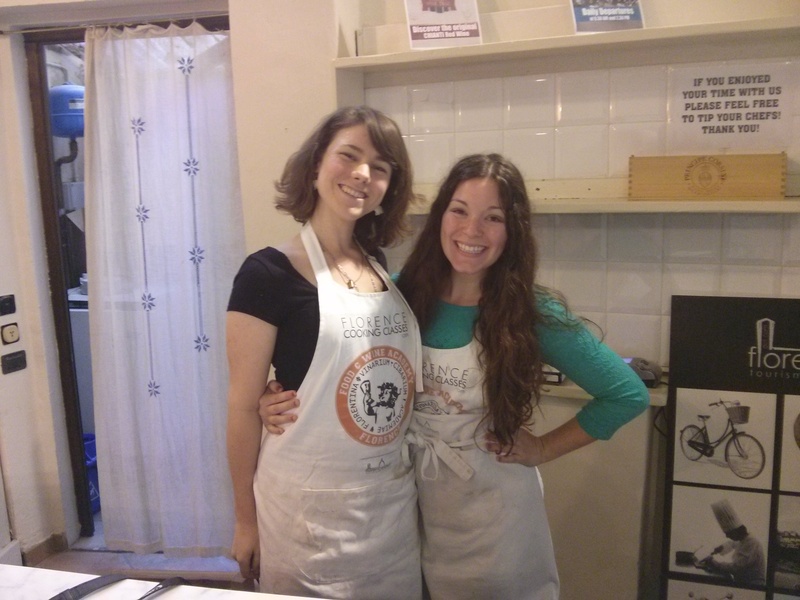 During our stay in Florence, we decided to take a culinary cooking class. It was the spur of the moment decision but we all thought,”why not?”. What we didn’t notice is that “Cooking Class in Florence” really means honeymoon special. There were around 10 pairs of couples taking the class….and then us: college aged students who just really appreciates food. Apparently cooking with your recently married significant other screams romance. 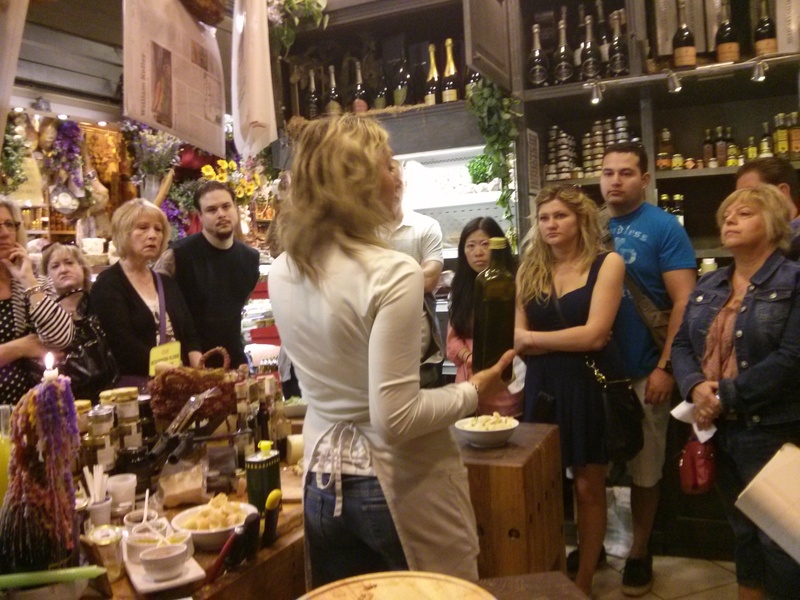 The cooking class was 5 hours long and included a tasting in a famous market-Central Market. Along with the cooking class, we got to enjoy and eat all of our hard work for lunch. Besides all the couples that were overly in love it was a fun experience. Once the cooking portion began, The chefs were very friendly and made sure to throw in little stories about growing up in Italy or tips on how “their mama used to make it”. 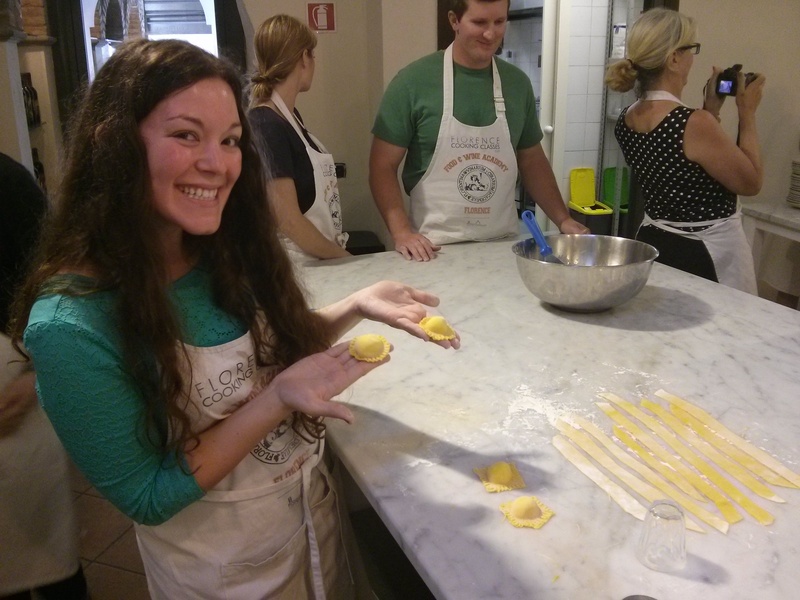 We learned how to make fresh pasta, tiramisu, tagliatelle, and a bolognese sauce. Although very informative and we learned multiple useful techniques during the class, it felt very touristy. Every single person in the class was American and you could tell the class was geared toward Americans rather than being authentic. No matter what way you viewed it, we were outsiders trying to experience the “Italian culture” through food.